The preliminary sequence of voting is now finished and we’re down to our final eight films: Whiplash, The Lego Movie, Guardians of the Galaxy, John Wick, Interstellar, Edge of Tomorrow, Selma and The Grand Budapest Hotel. At this time I’d just like to thank everyone for taking part, and urge you all to continue to participate. By the end of the month we have to declare one of these eight movies the Best of 2014, and while I suppose we could do it with just the seven or so staff writers, we’d rather do it with your help. Wowzers. That last round was inexplicably close. 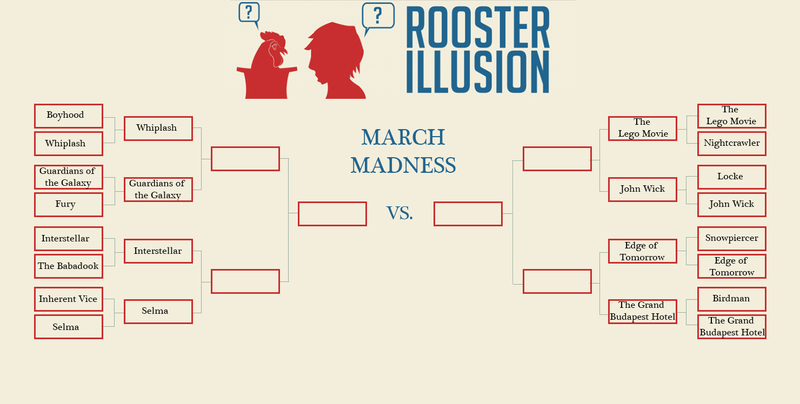 It was by far our most popular poll so far, and held neck in neck for nearly the entire time, until at last The Grand Budapest Hotel gained and maintained a narrow lead, bringing home the victory in the end. To all of you who voted for Birdman: I’m very disappointed in you. Moving on, though, today is the first quarterfinal! Who will win a chance at the semis? The tight, brutal, moving drama about the cost of artistic perfection, or the lighthearted, comedic, Marvel space adventure? Need a recap on either film? 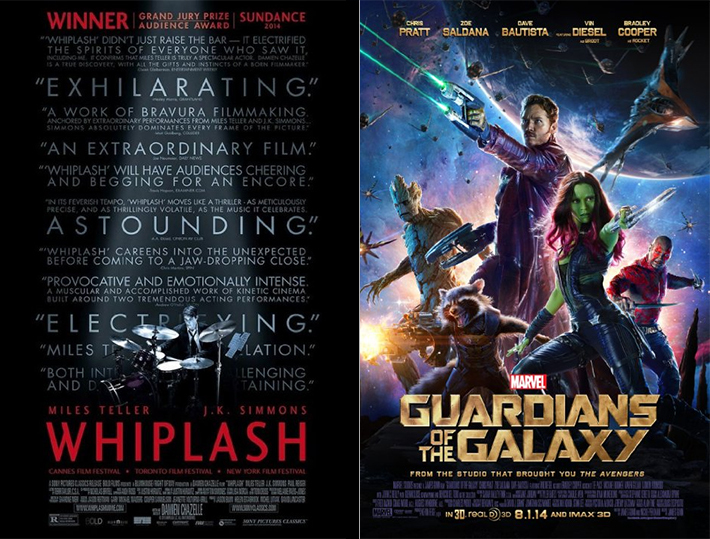 You can read our reviews of Whiplash and Guardians of the Galaxy.